Focus on antimicrobial resistance during the Norwegian National Science week Forskingsdagene.no. The science week aims to create scientific awerness among the general public. It is a good opportunity for the public to gain an insight into different research related topcis. On Friday 23. September professor Dag Berild from Oslo University Hospital held an informative lecure on antimicrobial resistance. Antibiotic medicine it was discovered by scottish scientist Alexander Fleming in 1928 and was then refered to as penicillin. Penicillin antibiotics were the first medicine to be effective against bacterial infections caused by staphylococci and streptococci. 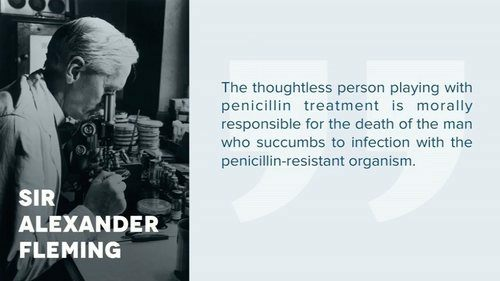 His discovery changed the world of modern medicine by introducing antibiotics, medicince which have saved, and is still saving, millions of people around the world. Professor Fleming recieved the Nobel Prize in Medicine in 1945 for his achievement. 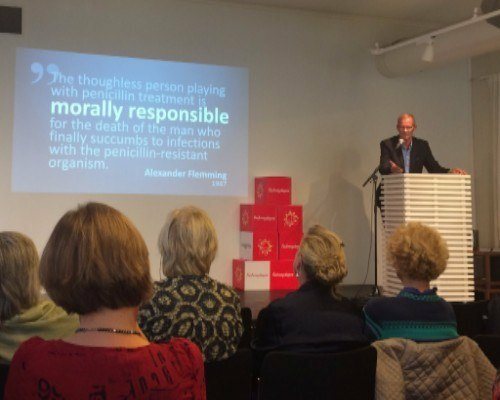 Already with his discovery, Professor Fleming warned about using antibiotics in a mindful and ethical manner. Antimicrobial resistance is a natural concequence of using antibiotic drugs to treat infections caused by bacteria. All antibiotic use leads to resistance, as mutation within the bacteria will make them resistant over time. Therefore, he warned, they must only be used when necessary. “Things as common as strep throat or a child’s scratched knee could once again kill”. One of the major problems that lead to increased resistance is misuse in the food industry. Approximately 80 percent of the antibiotics sold in the United States are used in meat and poultry production. The vast majority of antibiotics are used on healthy animals in order to promote growth, or prevent disease in crowded or unsanitary conditions. According to professor Berild this practice is highly distructive and directly unethical towards future generations. Antimicrobial resistance was last week discussed in the UN General Assemby. One of the suggestive measures is to introduce an international ban on the use of antibiotics as growth promoter in food production. Professor Dag Berild from Oslo University Hospital lectures on Antimicrobial resistance: Apocalypse now? Want to attend the next lecture on antibiotic resistance? Title: Are we heading into the post-antibiotic era? 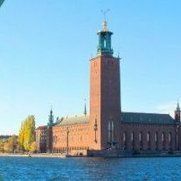 Interested in data sharing, privacy and innovation?